0	0	Wise Sayings from Proverbs	In Stock - Order before 4pm for same day dispatchWant it on Thursday 25 April? The latest in the new new 'Wise Sayings of...' series from Lion, offering illustrated hardback gift books with quotes and verses of wisdom. Each book is beautifully presented with decorative colour illustrations. Each anthology in the series contains an introduction and five chapters, combined with beautiful chapter openers. 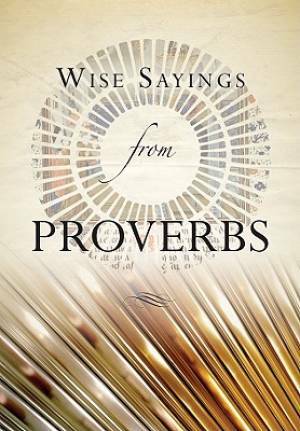 Wise Sayings from Proverbs by Olivia Warburton was published by Lion Hudson in October 2011 and is our 2591st best seller. 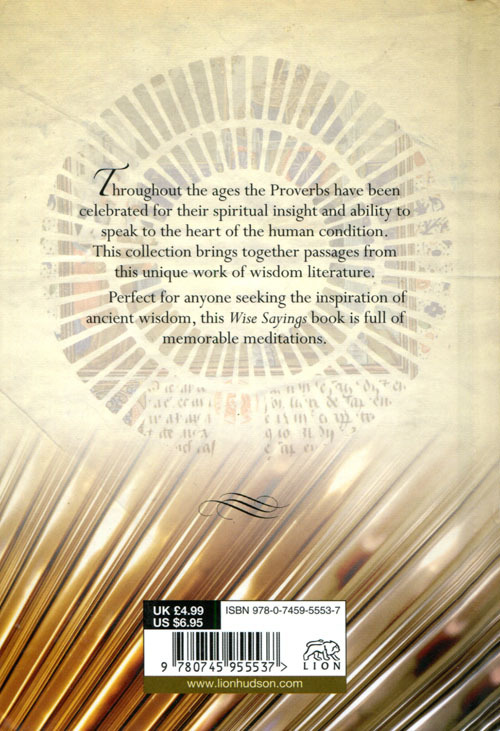 The ISBN for Wise Sayings from Proverbs is 9780745955537. Sorted under the headings Wisdom, Integrity, Choices, Money and Security, this little book is a treasure trove of wisdom as are the others in the series. Published as you would expect with Lions excellent presentation, this is a book to keep by you and to give away. Each quotation has a page to itself of unique design: so much of what we would consider ‘common sense’ but written in a way to make us think again. Perhaps this title should be in ‘Lifestyle’ rather than in ‘Gift books’ if we lived by these precepts the world would be a different place. Got a question? No problem! Just click here to ask us about Wise Sayings from Proverbs.